For whatever reason, summer is the prime time of year when Americans pull up roots—and find new places to plant them again. This moving season is shaping up as one of the busiest in memory. As the economy continues to improve, job markets are opening wide, the sun is shining on folks’ financial prospects, and people are on the move. But where are they going, exactly? What are the hot spots drawing planes, trains, and automobiles full of new residents? And likewise, where are they leaving in droves? 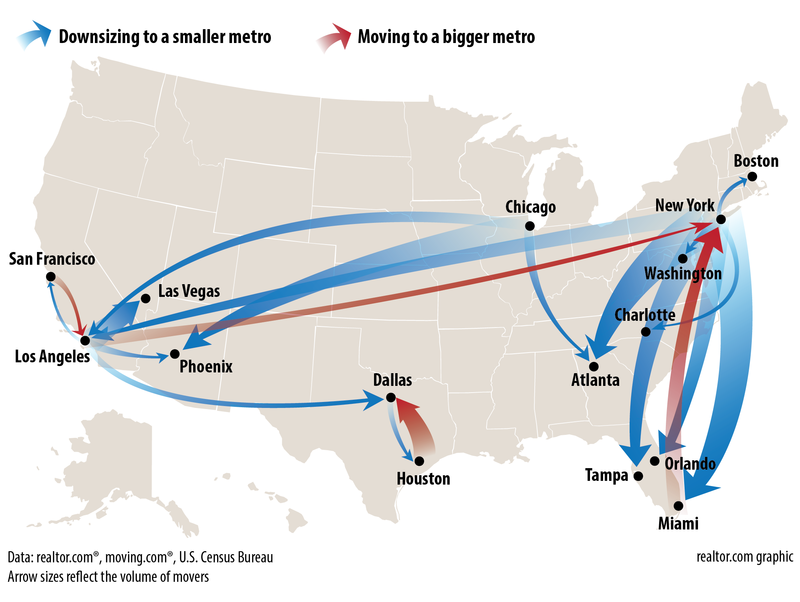 Take a look at the most common long-distance (farther than 100 miles) migration paths among the 50 largest metropolitan areas based on the volume of people getting a move on. 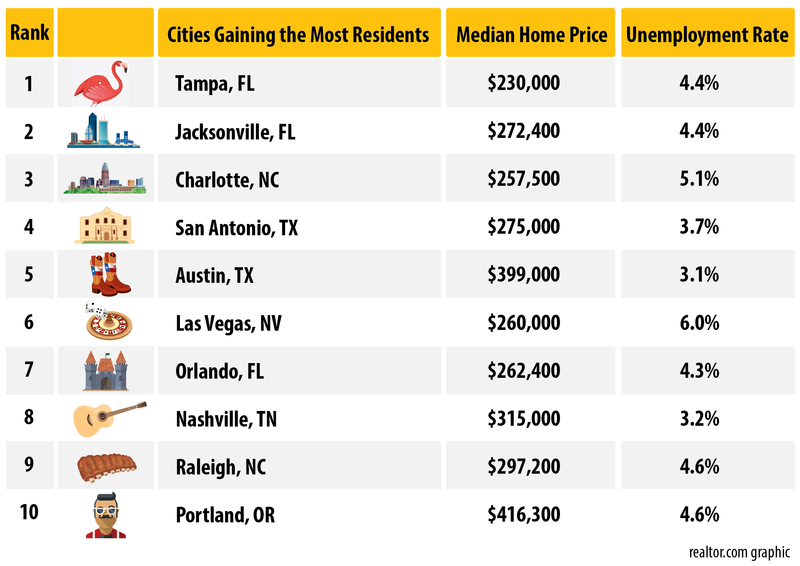 This is an excerpt from an article posted on Realtor.com. For complete article, click here.